I can’t say enough positive things about Kimberlee! From the get go she was super easy to work with, an amazing resource and her writing is stellar. I own a PR firm and am eager to work with Kimberlee again with one of our other clients. She knows her stuff! 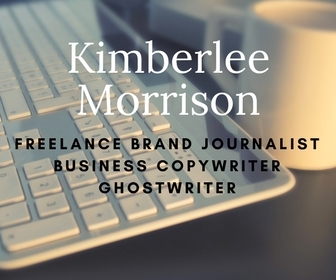 Kimberlee is a talented writer, storyteller and content strategist. She’s worked with StoryBound on a number of articles, blogs and other content for our clients and always delivers top notch work. I highly recommend Kimberlee for brands looking to make an impact with their content marketing. Kimberlee is an outstanding writer with client-care as the cornerstone of her service. She listens, then she delivers — every time. Our company regards her work as being the highest standard and we feel lucky to be working with her. Kimberlee is therefore a key person within our content team.